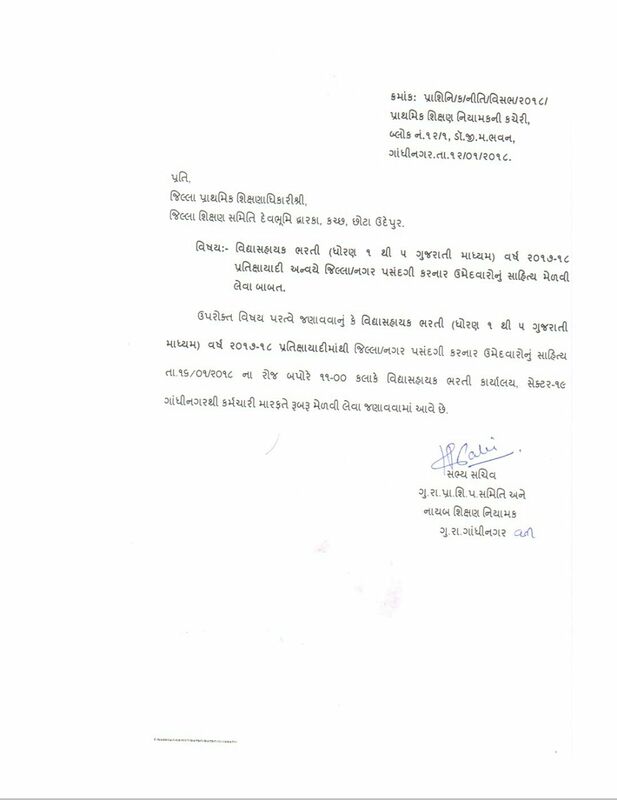 Vidhyasahayak Bharti Waiting Round Call Letter 2018 : Gujarat Education Board is a reputed board in the State of Gujarat. Every year board has conducted many types of examination to appoint talented and eligible candidates for the vacant post in the department. Now GSEB was going to conduct Vidhyasahayak Bharti Waiting Round 2018, which covers Primary Teacher for Std. 6 to 8 and HTAT (Head Teacher). Board has started application process on 25th January 2017 and the last date to apply online was 3rd February 2017. So, the candidates, who are applied before the last date they all can download their Vidyasahayak Waiting List 2018 on an official website.